For oral administration via drinking water. 1 gram per 10 kg body weight for 3 - 5 days. 1 gram per 20 kg body weight for 3 5 days. 1 kg per 1000 litres of drinking water for 3 - 5 days. 1 kg per 2000 litres of drinking water for 3 - 5 days. Note: Care should be taken to avoid protein excess when using Introvit WS. 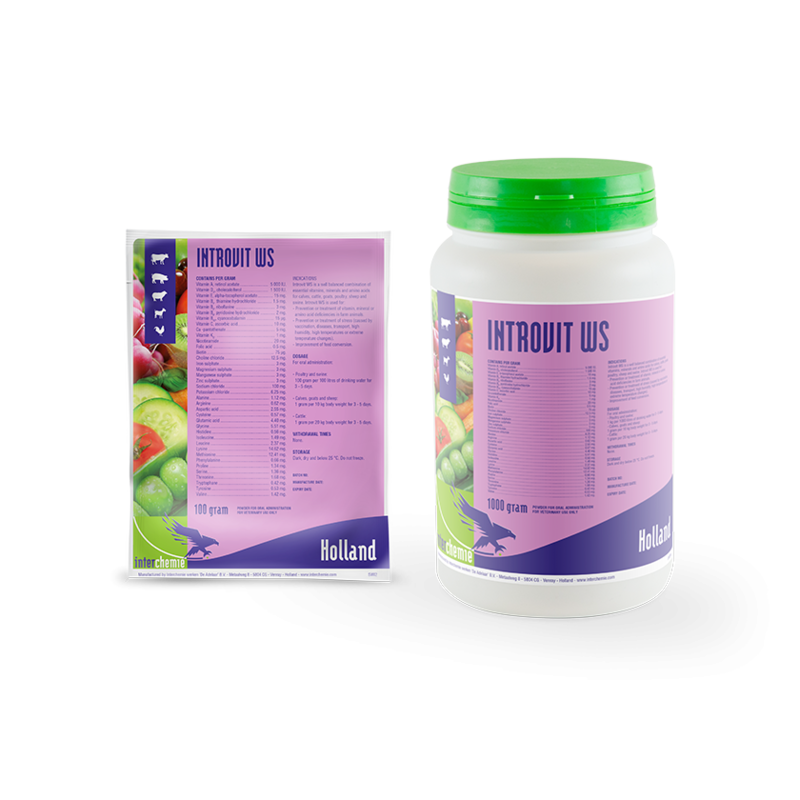 For poultry and swine the simultaneous use of Introvit WS with water for drinking in which choline chloride has been added should be avoided. Sachet of 100 gram and jar of 1000 gram.